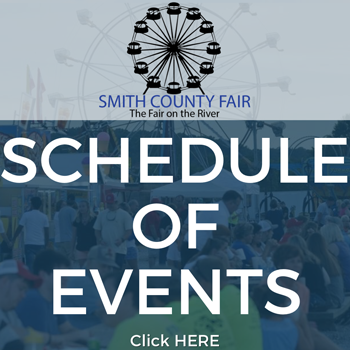 The Archery Competition will take place at the Smith County Fair on Saturday, June 30, 2018. Check-In begins at 3:30 p.m. and the contest will begin promptly at 4:00 p.m.
Pre-registration is required. To pre-register, contact Katie Clark at (615) 735-2900 or by email. 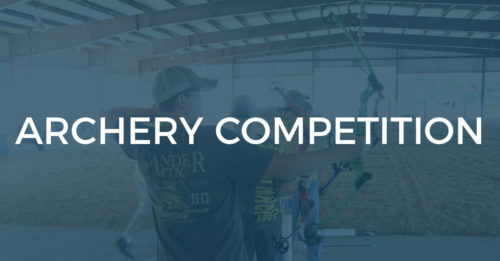 There is a $5 entry fee to compete in the archery competition. All scoring will be individual only. 1. All archers must wear closed-toed shoes at all times on range. 3. The Official Arrow of the Genesis division is the .30 inch 1820 aluminum arrows, 7075 alloy, UNI Bushing and Easton press-fit ‘G’ nock (or NASP 1820 glue-on nocks), nickel plated target point with 2.8 inch vanes. 4. Shooters will shoot two to a target at the same time. Each shooter will have five arrows of a particular arrow shaft color, different from the other archer on the lane, for scoring purposes. Safety must be the number one priority of range personnel, participants, and spectators. Standard accepted safety rules will be followed at all times, special safety considerations will be announced at each venue. The Discipline Superintendent, range officers or other event staff may dismiss anyone from the range for unsafe behavior. The score may be forfeited, participant disqualified or spectators barred at the discretion of the range staff.